Someone suddenly needs emergency medical aid. Do you know how to help? Maybe it’s time to learn. 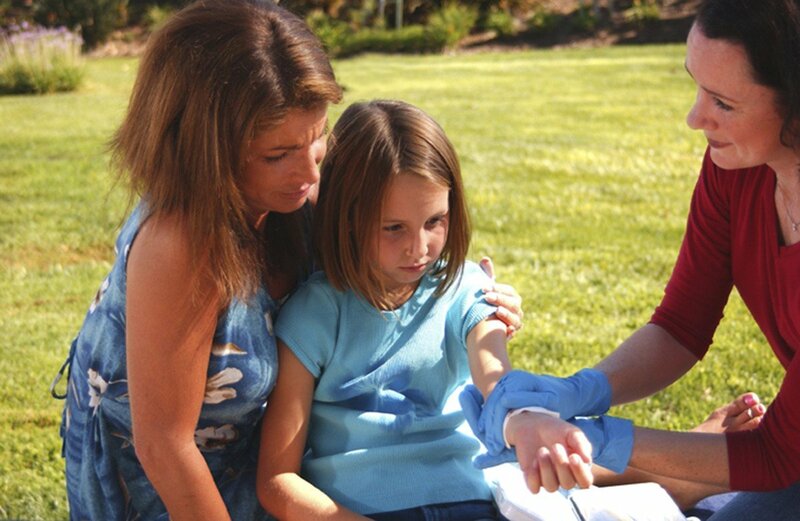 In as little as eight hours, Emergency First Response can show you how to save someone’s life with basic first aid and CPR. We have also added sections on Automated External Defibrillator (AED) and Emergency Oxygen. Getting certified in first aid and CPR has never been so simple. You will learn the same emergency-aid techniques used by paramedics and doctors. In addition to CPR, you will learn how to administer first aid properly and effectively using the most up-to-date methods. We will also cover AED as well as Emergency Oxygen. Remember the EFR program meets the PADI Rescue Diver requirement for CPR. Course is approximately 8 hours of classroom training. Be the one who knows what to do. Take Emergency First Response! Requirements: EFR Deluxe Student Kit, DVD and PADI Certification Fee are required.